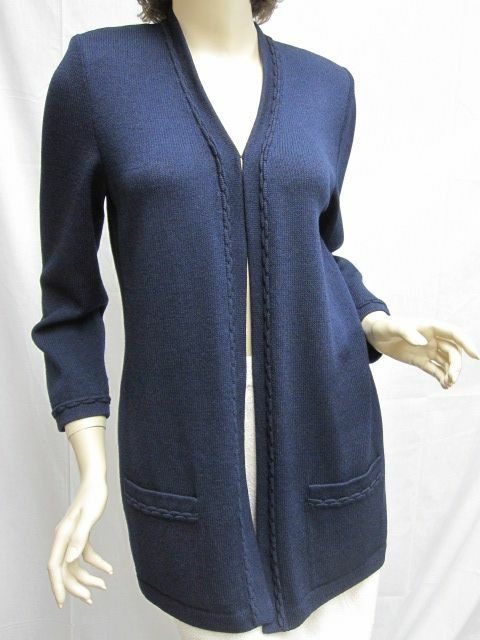 Click the button below to add the St John Knit BASICS Navy Jacket Open Size 8 10 to your wish list. 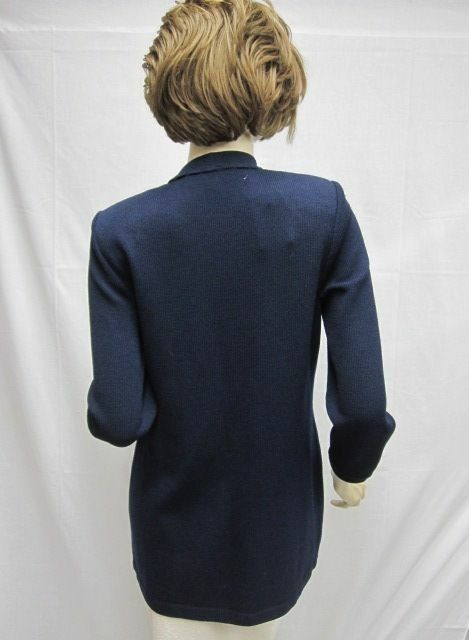 Jacket Open Style Size 8 10.
features a nice trim in the front and sleeves. Please check measurements because size on tag doesn’t always measure correctly. 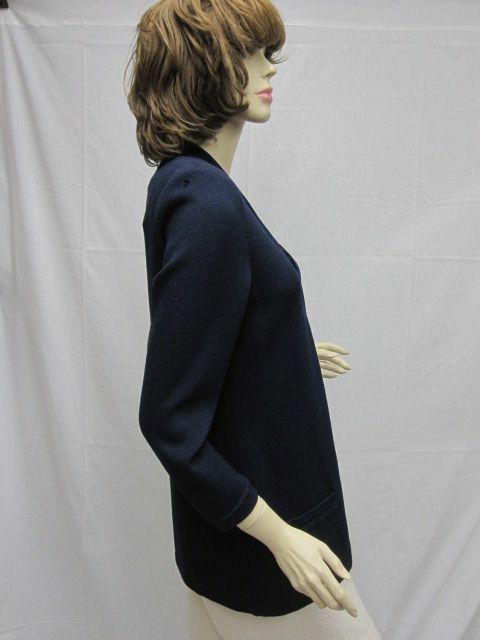 Shoulders: 16 1/2" Bust: 40" Hips: 44" Length: 31" Sleeve Length: 21"
This jacket is in excellent condition. so please don’t hesitate to ask us any questions. Thank you..